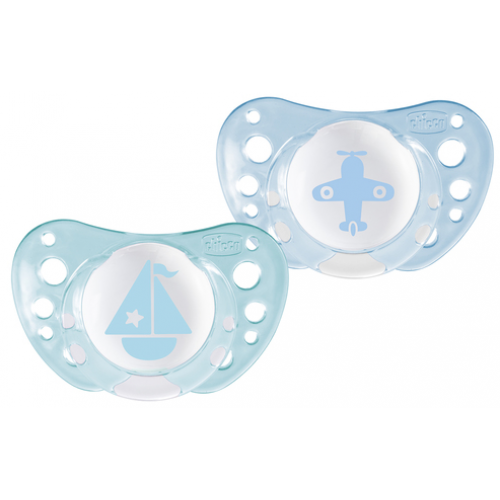 The Chicco Physio Air Pacifier is known to have the 'mum effect' the exclusive finish on the teat makes Physio Soft extra velvety and more pleasant. Loved by babies! The Physio Air Is a one piece construction, it's completely soft and does not irritate the baby even when he/she is sleeping. The base is made to m=be breast-like, which allows the lips to rest comfortably. The ventilation holes allow air circulation, preventing the gathering of saliva.